DETROIT -- Mercedes-Benz outsold Lexus in the United States in March, marking three straight months the Japanese brand has failed to come out on top after winning the annual luxury race for 11 years. Mercedes' U.S. deliveries, boosted by sales of its E- and C-class sedans, rose 9.4 percent to 21,484 compared to the same month last year, the unit of Daimler AG said Friday in a statement. Lexus sales rose 2.3 percent to 20,682 from a year ago while BMW AG's namesake brand reported a 12 percent gain to 20,295. March's results combined with January and February make Mercedes the leader for the year so far by 729 sales over BMW and 5,990 over Lexus. Mercedes in the first quarter sold 53,346 vehicles. BMW sold 52,617 and Lexus 47,356. The results exclude Daimler's Sprinter vans and Smart cars and BMW's Mini brand, which aren't luxury vehicles. The ongoing disruption on factory operations in Japan following last month's earthquake mean the Lexus brand may not be able to retain its rank as the top-selling U.S. luxury brand, said Mark Templin, head of U.S. sales for Toyota Motor Corp.'s luxury brand. "That may not happen as a result of production issues in Japan," he said in a conference call. He declined to say whether he expected competitors such as BMW and Mercedes-Benz to capitalize on the Lexus inventory situation. "You'll have to ask them," Templin said. All Lexus models, except for RX SUVs are produced only in Japan. Templin said he's getting daily updates on what to expect in terms of inventory, without elaborating. While Lexus has been the annual luxury leader in the U.S. since 2000, the automaker's lead over BMW shrank to 9,216 in 2010 as the Japanese automaker felt the effects of record recalls last year. Even before the earthquake, the brand had been hurt by a lack of new vehicles while the German automakers have been helped by aggressive leasing deals, said Jesse Toprak, an industry analyst with TrueCar.com, a Web site that tracks auto sales. "I don't know if they care as much this year," he said. Toyota's focus this year is "to make sure their supply-chain issues -- due to what's happening in Japan -- do not cost them more than what it may have already." The situation might also help domestic brands, such as Cadillac, he said. "By all means, whether it's Mercedes or BMW or us, is that an opportunity? Sure it is," Kurt McNeil, Cadillac's vice president of sales, said in a telephone interview. Sales for General Motors Co.'s luxury division rose 4.5 percent to 12,164 last month, as CTS sales rose 36 percent aided by the new coupe version. 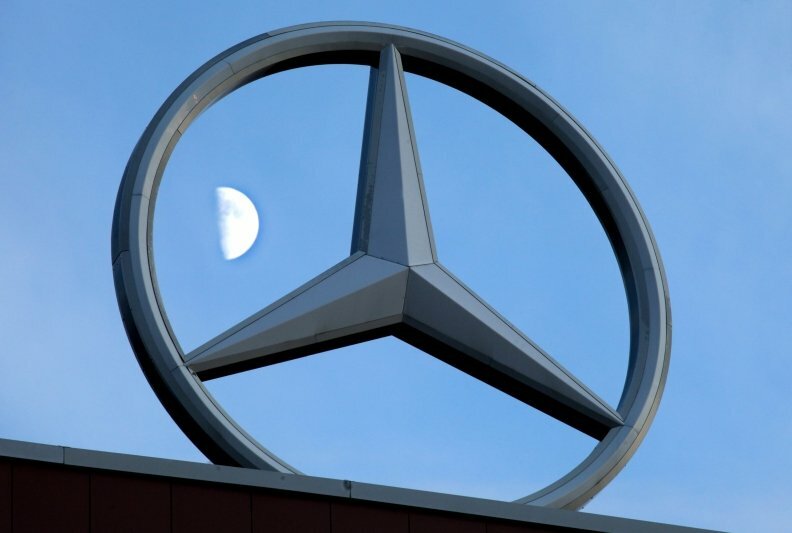 Mercedes, which sets its production plans 60 to 90 days in advance, has limited ability to take advantage of any Lexus shortage, Ernst Lieb, head of Mercedes's U.S. unit, said in a telephone interview. "We can't flip a switch quick enough to get more production," he said. "There might be a bit of shift in terms share in these months but it's limited." Nissan Motor Co.'s Infiniti sold 11,287 vehicles, a 14 percent increase from a year earlier, said Ben Poore, head of U.S. sales for the brand. Honda Motor Co. said in a statement that sales for its Acura brand rose 7.6 percent to 12,611 last month. U.S. deliveries of Volkswagen AG's Audi brand rose 14 percent to 9,818 vehicles, a record for March, the company said in an e-mail. Porsche Automobil Holding SE, the German automaker merging with Volkswagen, sold 2,588, a 36 percent gain, the company said in a statement. Land Rover deliveries rose 26 percent to 3,441, while Jaguar sales slipped 11 percent to 874, Mumbai-based Tata Motors Ltd. said in an e-mailed statement.